​ "Are you an Arjuna in a Yudhishtra organization? Are your Bheema employees holding your Nakula organization to ransom?" These analogies from the eternal epic Mahabharatha by Raghu Ananthanarayanan is a thought provoking framework for solving problems of Role effectiveness and culture building. Meaningful for start ups and large organizations alike! Ranjan is an entrepreneur, a natural Bhīma. His organisation is stagnating. “In doing what I am doing, what am I really doing? How am I part of the problem?” he asks. 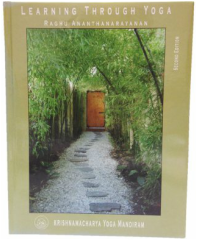 By using the Mahabharata as a mirror, and through an intense dialogue with his wife Sanam and his friend Prof. Anantha Saptaparni. Ranjan discovers the seeds of the other Paandava heroes that lie within him. Like Arjuna he embarks on a quest: He identifies his heroic propensities, peers into his shadow self, unleashes his hidden potentials, recovers his sense of purpose, and the eternal spring of energy. Like the bow that must be drawn deeply, and aimed carefully to shoot a true arrow, Ranjan emerges with new reserves of strength connected to the wisdom that lies within him anchored in an expanded capacity to meet challenges and play effective roles. Ranjan discovers how to “be the solution” and lead the organization. He learns how to help each of his teammates do the same, and together they renew and regenerate themselves and their organization. 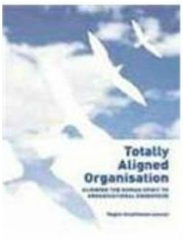 This book takes a close look at the underlying axioms of Organization Design and Alignment that have not only proliferated rigid structures and oppressive hierarchies, but also have rendered employees worldwide as mere instruments and dehumanized the organizational context. This book, containing over 500 pictures, will appeal to every level of yoga enthusiasts, as it integrates the philosophy of yoga with daily practice. Through a systematic and simple approach, it explains how yoga can be put into action. The book will particularly interest the inquisitive mind that is searching to discover these timeless truths in modern-day lifestyles. The Central mission of this book is to explore ways by which we can ensure a hundred percent deployment of human potential in organizations. This can be the only goal for organization culture that will support initiatives like "Zero defect", "Zero waste", Lean JIT, TPM & TQM. The author uses seminal ideas from the Indian tradition.